Communication: presentation of the SANTEMED Project, by Mohammad Abu-Zaineh. Following the uprisings in several Middle-Eastern and North African (MENA) countries, which began in December 2010, several constitutional and institutional reforms have been initiated with issues related to social justice, well-being, and inequalities in opportunities being at the heart of the current debates. Foremost, inequalities in health have received special attention in the global policy agenda. The 2013-2018 strategy of the World Bank (2013) has shed light on the profound inequalities in the access to health care as being one of the major causes behind the political turmoil in the MENA countries. Similarly, a recent special issue by the Lancet (January 2014) on ‘Health in the Arab World: a view from within’, has brought to light further initial evidence on the massive inequalities in health in the region while calling for a non-conventional approach to the analysis of health issues in this region. Indeed, recent empirical research, including that carried out by some of the research teams participating in this network, has shown that the conventional methods that have been used to assess inequalities in health and well-being in developed countries cannot straightforwardly be applied to developing countries – due to their underlying assumptions which are far from being consistent with the realities in the developing countries, mainly the features of the health systems and the specific socioeconomic, demographic and morbidity characteristics. Consequently, more refined approaches to the measurement of inequalities are called for. Building on previous experiences of the research teams involved and the lessons learned from a recently completed research projects, AHEAD network seeks to improve the measurement and explanations of various aspects of inequality in health and health care within a broader perspective of well-being. Specifically, the network seeks to elaborate a compatible-to-context approach that can enable linking systematic inequalities in health and health care to their structural causes. 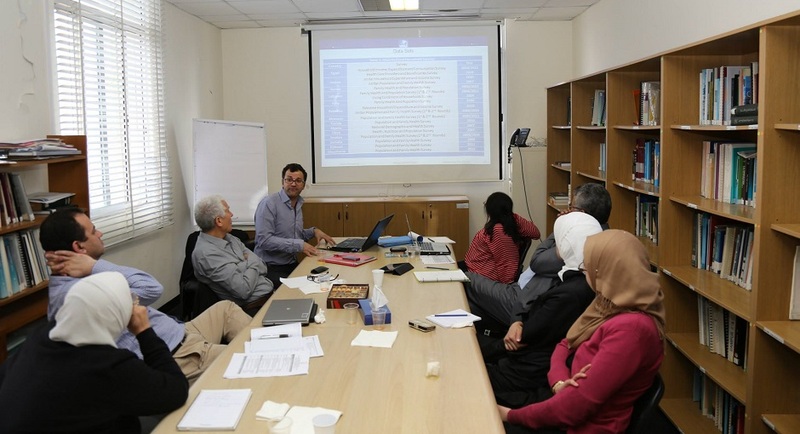 Thanks to collaboration, this project will benefit from micro-data sets, recently made available, providing detailed information on different aspects of health and well-being in 13 countries in the MENA region. The survey data base shall allow for a full picture of the status and trends of health inequalities and well-being within and across these countries. The network aims at contributing to the current debates on the measurement of inequalities and well-being through developing a wider research network bringing together several researchers from developing and developed countries. In the current context of international debates on global health, AHEAD is in a position to make significant contributions to discussions at the United Nations as well as Mediterranean countries’ levels about the way towards Universal Health Coverage (UHC). UHC is the priority goal that will be adopted for the 2015-2030 international agenda as a follow-up to the current MDGs. Moreover, researchers involved in this network will participate in a collaborative effort promoted by local authorities South-Eastern France Regional Council to develop collaboration in the Mediterranean area on health issues (a first workshop on issues related to health of adolescents and young will be held in Marseille on November 2014). This will increase opportunities to translate our research results into policy dialogue and recommendations.